40th Edition. 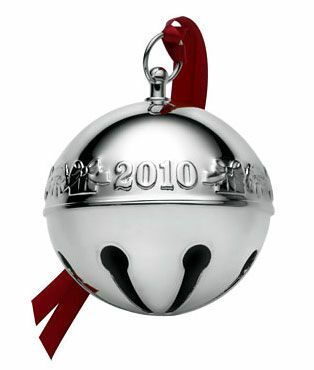 Featuring a gift box design encircling the bell, the Wallace Sleigh Bell is one of the best-selling collectible silver Christmas tree ornament. Handcrafted in fine silverplate, it measures approximately 3” in diameter, gift box included.